I got to this stage in life not by things that I did, rather, I got here because of the things I didn’t do. These are the big things. I’m not talking about not having an emergency fund, using incandescent light bulbs, paying PMI, or other financial errors. Those are just mistakes, you can overcome mistakes. Moving to NYC for an internship while keeping a vacant house four states away is a mistake—we will overcome that. Nope, these are the BIG things. You want a surefire way to make your life far more difficult? Have kids. Literally overnight there is a tremendous tax on your time. Having them while you’re young just amplifies the effect and compounds the results. I’ve watched enough Teen Mom to understand that these broads have some very tough lives. Having kids before you’re married or, worse, as a teenager is one of the worst things you can do for your financial future. Only 40 percent of teen moms finish high school, and only 2 percent finish college by age 30. Two-thirds of families started by teenagers are poor and one-fourth are on welfare. Worse, though, is that this circumstance usually starts a vicious cycle of poverty that extends for generations. Just two-thirds of children born to teen mothers will graduate high school, compared to 81% of those with older parents. These children born to teen moms are also 50% more likely to repeat a grade. It’s not limited to just teens, either. Of those mom’s who have a child when in community college, 65% will drop out. This dropping out, missing grades, and the like has a huge effect on starting careers, which has a huge effect on lifetime earnings. We are biologically programmed to take care of our children, except for some crazy folks who think it’s okay to leave your kids in your hot car while you go hit the roulette wheel. We are designed to make our kids a priority—over school, college, work, money, everything. You have kid as a teen? Then you put off high school for now. You put off high school? Then you’ll delay or forego college. No college? Do you want fries with that? Of course it’s not a certainty—nothing is. You can be the one that beats the odds. I mean, Fantasia Barrino and Aretha Franklin were both teen moms; they made it, so can you! 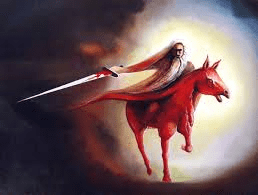 So, ignore this first horseman. Toss aside that condom (c’mon baby, it’s my birthday…) and hop into bed! I understand the objections. “Dude, I’m like 28 years old. I’m healthy. What’s the point?” The point, kind sir, is that medical bills are the #1 cause of bankruptcy in the United States (about 60% of personal bankruptcies). It absolutely floors me that one in seven of people in this country still go without medical insurance (that’s after Obamacare). That’s the lowest uninsured rate on record, but still! About two years ago, Steven Brill wrote an article titled Bitter Pill, which is possibly the best article ever written on the subject of medical care and pricing in the U.S. The obvious takeaway is that the entire healthcare system in the country is utterly broken, unfathomably expensive, painfully confusing, and frustratingly difficult to navigate. To illustrate, using our own little ER example, we received not one, but four bills (so far) for that 90-minute stay. Each doctor is essentially a contractor to the hospital, so they have their own bill (and we were there during a shift change, so two doctors). The facility has its own bill. The state has its own bill (a service charge). I asked the hospital billing department, when I called to pay one bill, “how many more different bills will we receive?” The answer, of course, was “I don’t know, we only bill for St. Luke’s Hospital.” And remember, we have insurance! Two things about this inspire me to want to punch somebody in the face. First, the sheer cost ($17,797 for a headache?!). Second, the variability. The cost for a sprained ankle varied between $4 and $24,110. I mean, this chart should instill complete and utter fear into anyone considering going without health insurance for even a day. You walk into an ER with some minor ailment and it’s basically a coin flip whether you’ll have to go without your daily five-dollar-footlong or whether you’ll have to sell your car. A stomachache can cost you a year’s salary ($29,551)…I had a stomachache yesterday! Overall, the NIH study revealed that the average ER bill for all of these outpatient conditions was $1,233—40% more than an average month’s rent. Unfortunately, I haven’t (yet) garnered any members of congress to my blog readership, so this complaining will only fall on empathetic ears. As such, we have to play the system’s game. Get health insurance; nobody will feel sorry for you if you don’t. OMG! 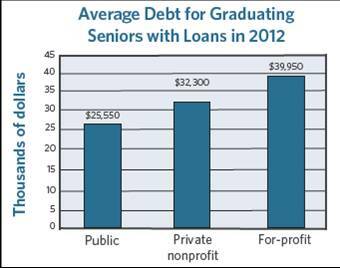 : The average indebted four-year graduate loan balance is now over $30,000—an all time high. Reality: Sure, this is the average, so we’re lumping everything together. But consider, for-profit school debt is far higher ($40,000) than public school debt ($25,000), and median overall debt is only about $13,000. So, when you remove the outlier effects of the ridiculously expensive private schools and your for-profit University of Phoenix’s, things aren’t nearly as bad as they seem. PLUS, this figure only refers to those that have debt, so it completely ignores to 30% of graduates who graduate with ZERO student loan debt. OMG! 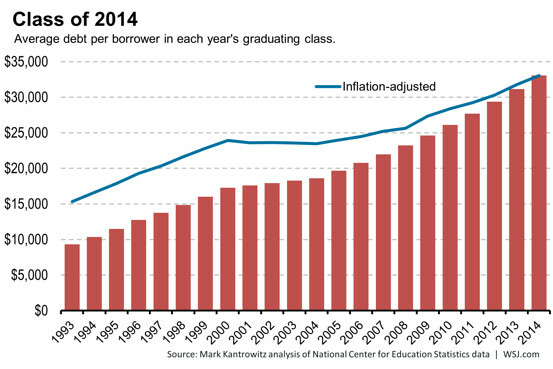 : Total college indebtedness now exceeds $1 Trillion in the U.S. So, student loan debt is, yes, over $1T, but that is only about 9% of total consumer debt and is about the same amount of debt we have in auto loans. I haven’t heard talking heads screaming from the rooftops about how crazy the auto financing market is. On the grand scale, it’s not that huge of an issue. OMG! 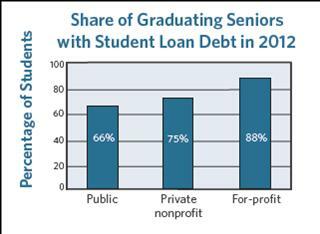 : 2 Million Americans over 60 have student loan debt. Reality: Yah, and? Two million people sounds like a ton, but it’s only 3% of that age bracket. And, the average amount of debt amongst them ($21k) is less than your average car loan ($28k). This is just a shocking headline number that is meant to be interpreted as “wow, these folks have been paying off loans for 40 years!” When, in reality, these are usually loans that have either, A.) been forgotten about for decades, or B.) were taken out recently to pursue continuing education. You’re behind before you even start. Student loan debt isn’t necessarily bad for what it buys you (education and some marketability) or how big it is ($10-$30k, same as a car); student loan debt is terrible for when it is. Let me explain. 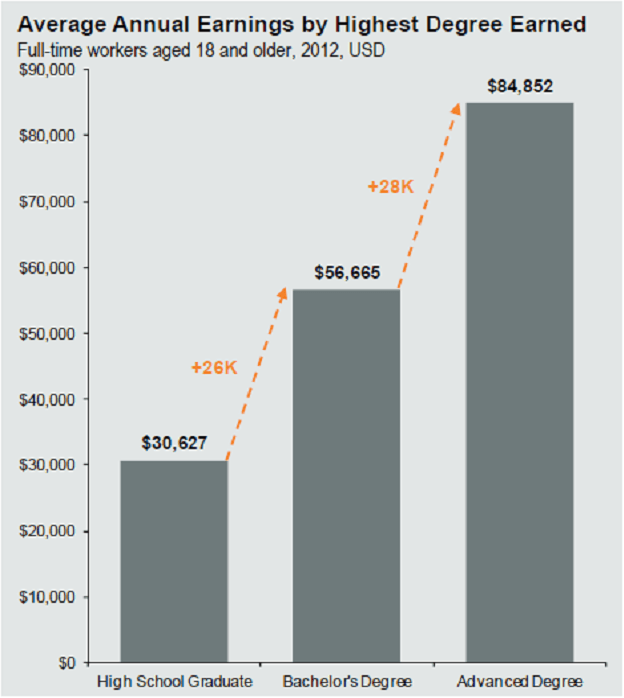 I absolutely recommend everyone get a college degree (see earnings chart, above). And sure, a degree doesn’t assure you a good job (or a job at all), but not having a degree makes life pretty darn tough to get ahead (people do it, but they’re exceptions). However, imagine graduating college, walking across the stage, getting your diploma, getting drunk that night, and waking up the next morning with the full knowledge that you’re now worth less than you were when you were a little baby (meaning, worth less than $0…negative worth). The median monthly student debt payment ($160) is affordable, and only amounts to about 4-8% of income for those that have student loans (more for private loans or low incomes, hence the range). But, that’s $160 of your income that you could should be saving. As far as savings goes, your early 20’s are the most important years of your life. That $160/mo over 10 years, if instead of paying off loans is placed in the stock market (8% CAGR), will turn into $30k. You leave that $30k alone (no more contributions) until you retire at 65 years old, is now $380k. That, my friends, is the real financial cost of student loans. This all says nothing of the fact that if you have student loans you pretty much have to start working immediately. No backpacking through Europe, hiking the Appalachian Trail, exploring southeast Asia, spending a year in the Peace Corps, or doing other crazy nonsense that is really only an option as an unattached 20-something. You can do these things, but with interest accruing, it will certainly weigh on your psyche and greatly hinder your ability to pay them off quickly. This also lessens your ability to go to graduate school—as loans for undergrad will likely continue to go unpaid and interest will start compounding against you throughout your graduate school years. Student loans take away your freedom in some of your best years; if nothing else, student loans remove optionality. If you have loans, you’ll probably feel obliged to take the first job that comes your way. Plain and simple, it’s all bad. It should be the goal of every parent to make sure their child makes it through school debt-free. It should be every college student’s goal, as well. 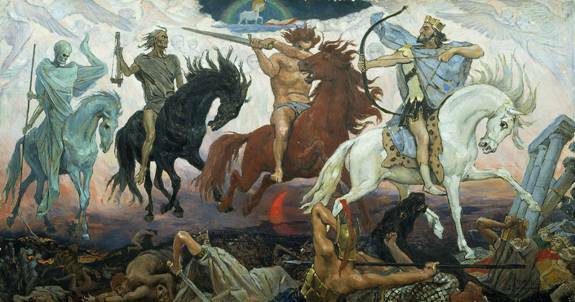 The commonality for first three horsemen I’ve talked about is that it’s possible to overcome them. You can birth a litter of children while still in Junior High, take on a mountain of student loans, and have triple-bypass surgery as a cash account at Cedars-Sinai. You can do all this and still, with enough luck or success, be wealthy. 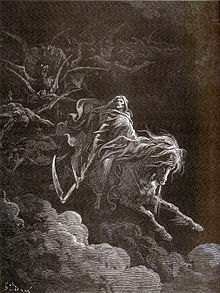 This Pale Horse, however, comes with a mathematical impossibility. If you spend more than you earn, over time, you will be broke. Take my word for it. I spend more than I earn right now, and I already feel broke, even though I could last another four years or so before I would have to officially claim bankruptcy. The equation for savings is pretty simple: Savings (Debt) = Income – Expenses. If you spend more than you earn, you have no choice but to be broke. 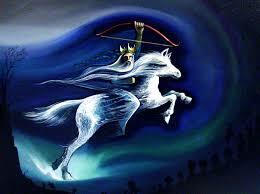 This is the one horseman I don’t need to back up with a bunch of studies and figures; mathematics is on my side. It’s very easy to do these things, and most people do—surprisingly—to some extent. The savings rate in the U.S. today runs about 4.4%–which is devastatingly low but still better than 0%. At that savings rate, you’ll have to work pretty much your whole life (or at least until you hit Social Security) in order to built a nestegg that will fund your lifestyle using the 4% withdrawal rule. But, even that is better than the alternative. Don’t be Rihanna. I hope you enjoyed this article. If you did, please subscribe to receive these articles to your inbox. Thanks so much for reading and coming to my blog. Thank you for talking about the importance of not having kids as teens or having them out of wedlock. I say this all the time, at every opportunity that seems appropriate in online forums. Having kids as teens and/or out of wedlock is just a disaster. Mainstream media either completely ignores this issue or treats it with kid gloves. I hate that! I know what you mean. Unfortunately, kids at a young age is often not an intentional decision, but the effects on long-term wealth are just as devastating. Thanks so much for sharing your viewpoint. That’s a very good point. The entitled mindset is certainly a dangerous one. Thank you for sharing the information. 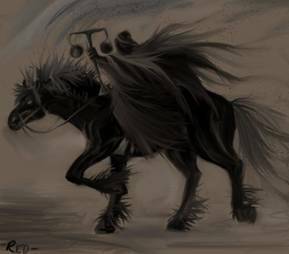 I can see that you put in a lot of time with the different charts and a unique way of presenting through the 4 horsemen.